Two-Handle design for precise temperature adjustment. Ceramic Disc cartridge for drip-free performance. Metal push pop-up assembly included. 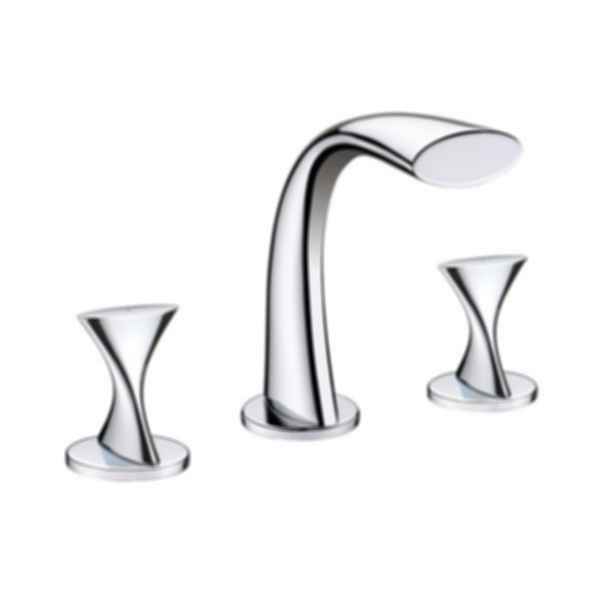 Water-efficient faucet reduces overall water usage without sacrificing water pressure. Ultra Faucets combine innovation, quality, sustainbility and offer reliable kitchen and lavatory faucets. All of our faucets are regulatory agency approved, listed under the International Association of Plumbing and Mechanical Officials (commonly known as IAPMO), To address today's lead-free and water conservation concerns at home, we offer California AB1953/Vermont S152 compliant and WaterSense® listed faucets. We also offer water-efficient faucets that comply with the latest California green legistration - CalGreen. They have a flow rate of 1.8gpm (for kitchen faucet) and 1.5gpm (for lavatory faucet), versus industry standard ASME A112.18.1/CSA B125.1 of 2.2gpm.